Let me begin with words of thanks. As you gather for this Convocation and look ahead to a new school year, I join with our Chancellor of Catholic Education, Jim Sellinger, and our new Superintendent of Schools, Donna Hargens, in expressing my deepest thanks for your service to Catholic education. I am grateful to our veteran principals and teachers, as well as to those who have come aboard more recently, and I warmly welcome those of you who are just beginning. There are many things that make our Catholic schools special but one of the main factors in their excellence is yourselves. Your faithfulness, your care and concern for your students and their families, your dedication above and beyond, your competence in the classroom and beyond – all of this makes our schools wonderful places of faith, learning and service. I know that your work is challenging, that you work at a sacrifice and that you really pour yourselves in your work day in and day out. May the Lord bless you in the year ahead! I would be remiss if I did not mention that this new school year opens at a very difficult and challenging time in the life of the Church. You have already heard a great deal about Pennsylvania Grand Jury Report, about the case of Archbishop McCarrick, and much, much more. All of this amounts to a tsunami of moral failure which has harmed many innocent victims and undermined the Church’s credibility. 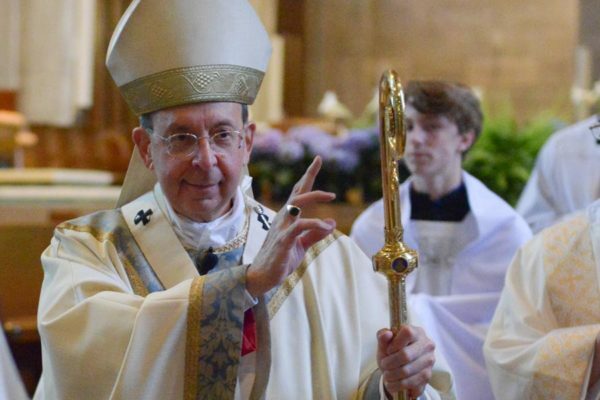 People are bewildered and angry both at the crimes committed against the young and at the failure of some bishops, especially in the past, to effectively root this evil out of churches and ministries. All this has undermined the trust people should have in the Church and its leaders. They are looking, as you are, for concrete solutions and decisive actions, and while much is underway, it will take some time for these things to come about, remembering that they require hard work on both sides of the Atlantic Ocean. As you deal with parents and families, you no doubt hear about these things in spades and I am aware that this has placed a heavy burden on your shoulders; for the weight and sorrow of this burden, I am truly sorry. In the meantime, three regional listening sessions have been scheduled for yourselves, for Catholic school principals and teachers, and I look forward to being with you again on those occasions. As you prayerfully and intently ponder this difficult situation, I hope you will not forget the hard work which you have done to create a safe environment for the young people that you serve. Each of our schools is working hard to create an environment for our students that is safe, wholesome, healthy and happy. Thank you for your leadership and cooperation with regard to all the measures that go into creating the kind of schools to which parents can entrust their children. This work, done in our schools and parishes, is something that people can see and participate in. Your good work is very helpful in beginning to re-knit the broken bonds of trust. We have a long way to go and I wish to assure you of my support and prayers! And even when we find ourselves in a painful, distressing situation, the Word of God nonetheless continues to offer us encouragement and direction. What might the Lord be saying to you and may gathered here this morning? Let me turn our attention to St. Paul’s 1st Letter to the Corinthians. If you read the whole letter, you will find that St. Paul had his hands full. The congregation at Corinth was not easy to deal with. They were contentious, opinionated and fractious. They were prone to cliquishness and attracted to teachings other than those Paul imparted – sound familiar? Paul did not throw up his hands in despair. Instead, he greeted the Corinthians by reminding them that they were called to holiness and unity and that they were abundantly endowed with God’s grace. Further on, St. Paul spells all this out. Implying that the Corinthians had a lot of work to do, he nonetheless reminded them that they were gifted with an intimate knowledge of Christ’s love and blessed with an ability to speak of Christ with assurance. And not content with that, St. Paul also told them that the Spirit of God had endowed them with special spiritual gifts, gifts given to individuals for the building up of the whole Church. In other words, before delving into the problems the Corinthians faced, St. Paul took stock of all God had given to that community, gifts that would help them respond to and overcome their challenges. The beginning of a new school year seems to be a good time to take stock. Naturally you to ensure that your classrooms are well-stocked and in order and that you have all the tools that you will need to teach and form the young people entrusted to your care. But there’s another way to take stock, namely, the way St. Paul did. This Convocation is a one of the moments for you and me to do an appraisal of the ways God has blessed us individually and collectively. So often we bring God our problems without giving thanks for the spiritual resources that has given us, the spiritual resources that give us the inspiration, the enlightenment, as well as the wisdom, strength, and perseverance that is needed to form young people in ways that are holy and healthy and to reach out to their families in ways that will prove life-giving. 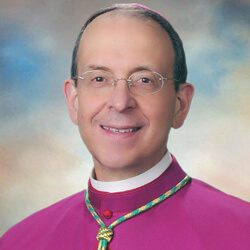 Your own personal response to your baptismal call to holiness, your efforts to maintain and deepen unity in your schools and among yourselves as teachers, a true esprit de corps, your mutual recognition of one another’s spiritual gifts – all this and more are ways in which the Lord wants to sustain you in the inevitable challenges that lay ahead in this new school year. So my prayer for you is that the Lord will continue to bless you, to pour out his blessings upon you even more abundantly now and in the year ahead. In this way, you will find the wherewithal to form young minds and hearts in a way that befits their God-given dignity, supports their families, contributes to the good of society and builds up the Church. May God bless you and keep you always in his love!